This plugin will require that you have a Fresh Store Builder installed. 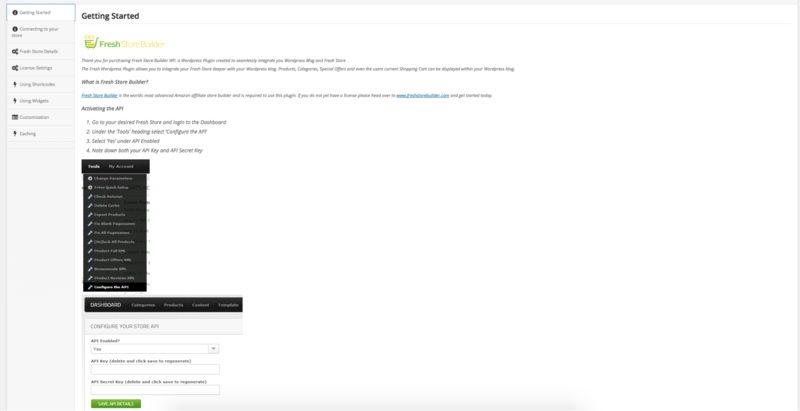 The plugin will connect to your FSB store and let you embed products into your blog quickly. 2. Now you need to click on Browse and find the Fresh Store Booster WP plugin file and then click Install Now. 3. Once the plugin has been installed, you will need to click on the Activate Plugin link. 4. Once you have activated the plugin, its very important to license the plugin. This will make sure your plugin is working and always updated with our current version. Click on the FRESH PLUGIN tab on your WP-Admin dashboard and then click on the License Settings link. 5. Enter your License details from freshwebmarket.com/my-account and click save changes. 6. Once you have licensed your new plugin, you will need to enter the Fresh Store API details ( THESE ARE NOT YOUR AMAZON KEYS). Go to Step 7, to see where to find the Fresh Store API Keys. 7. You will need to login to your Freshadmin Dashboard and click on Tools – Connect Your Store. 8. 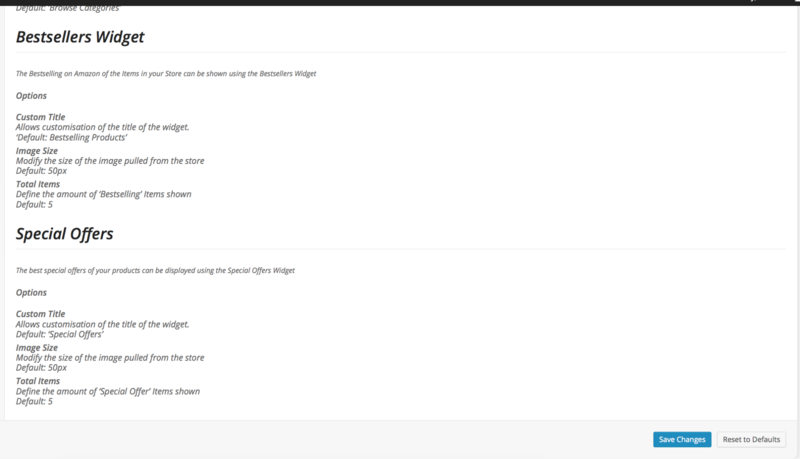 On the Connect Your Store Page, you need to click on Add NEW to create a set of API keys. 9. You need to create an API Name and API Description. Once you've filled in the information, select SAVE API DETAILS and your API keys will be generated. You will need to take the 2 keys and go back to your WP-Admin Dashboard and enter the keys to connect your FSB store and the WP plugin. 10. Go back to the Fresh Plugin tab in WP-admin and click on Fresh Store Details and copy the keys and also the location of your FSB store. Then click Save. You have now installed the Fresh Store Booster WP plugin. 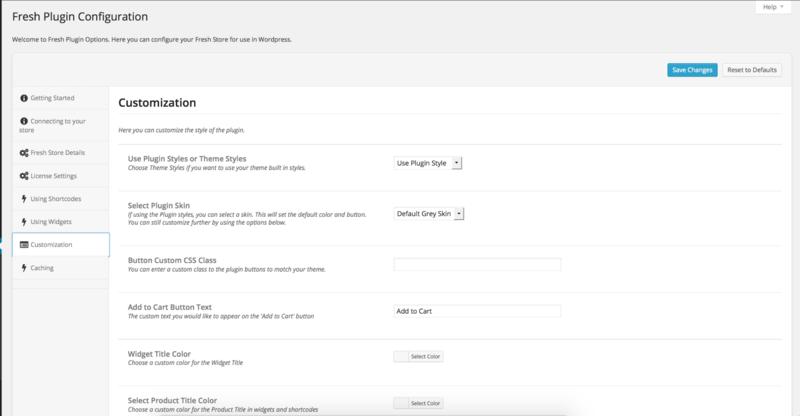 Please checkout the other guide on how to use the Fresh Store Booster WP Plugin widgets and shortcodes.